Most people who know me personally would probably tell you that I am a very real and authentic person. This aspect of my personality most certainly reflects in my work as well. This may be the reason why I am so drawn to capturing life on the streets. I capture life as it happens, without staging or directing, without adding or removing anything in post processing. To me this is exactly why documentary or ‘street’ photography is so pure, exciting and difficult. If you create beautiful photographs on the streets by staging or directing your subjects, you are simply robbing yourself of the satisfaction and merit of photographing real life as it happens. You may say “No one knows or no one cares” and that may be true. But aren’t you the first person you need to be true to? Wouldn’t you feel like you’re cheating or being deceitful if you staged a shot to make it look candid? Call me a purist if you will. I believe that moments in life are fleeting for a reason: You cannot replicate true emotions, nor should you want to. And even if you missed the shot, know that at least you saw the moment and that is so much more that most people can say. I much prefer missing the moment, than try to replicate it. That would be too easy and it would take the fun and challenge out of this beautiful craft. Q: "I'm attending evening classes in a photography school - we basically have weekly workshops where we're given assignments on imposed subjects on a regular basis. So far I've been quite inspired by those and enjoying it a lot. The "end of year" assignment that's coming next, in contrast, is a freely chosen topic and our photos will be exhibited in a prestigious place and potentially exposed to lots of people. I'm excited about this great opportunity to have my work shown but still can't possibly figure out which direction to head towards - a kind of "photographer's block" I guess. I'm most passionate about street photography, however I fear that my usual kind of street images is too mundane and not catchy enough to be exhibited. I believe in the power of simplicity and I'm aiming at producing striking, graphical pictures but I just don't know where to start. Every street around where I live I feel like I have roamed a hundred times for assignments or personal work, and there's not much new to get my inner photography flame kindled again. The deadline for giving out the photos for printing is June. Do you have any advice on how to overcome that block ? Any artist you'd recommend as an inspiration, be it photographer, painter, filmmaker ? A: "Hi Guillaume, thank you for your kind words and for submitting a question to the blog. Tough question as I'm not sure if you are planning to pursue photography as a hobby or a career. Street photography is really something you do for you and you alone. I wrote an article about that recently, which you might want to read: To Be Or Not To Be A Street Photographer. Street photography is not something that will get praises like landscape or nature images will. I don't think that's a bad thing. Not everyone understands the beauty of street photography and the audience is more limited. When you are out shooting, you should aim at pleasing yourself, not others. If they like your work and buy it, that's the bonus! 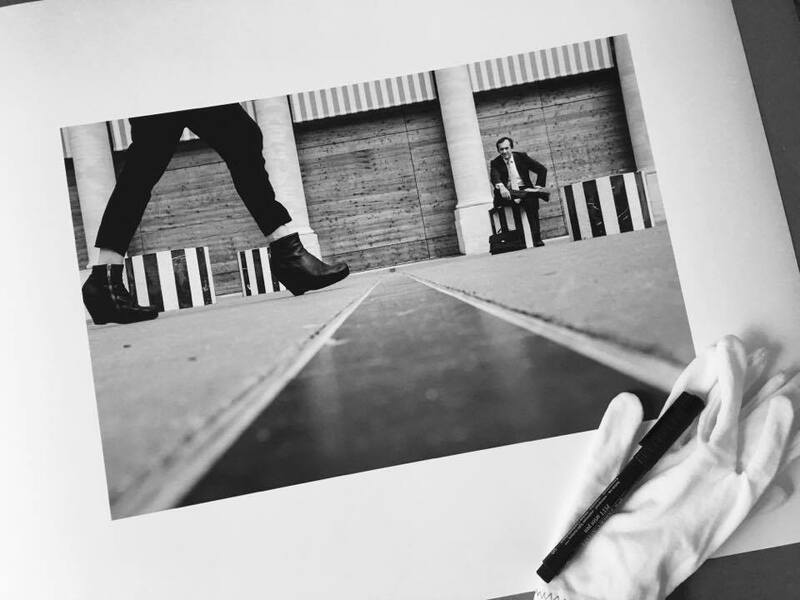 You don't have to travel to exotic locations to capture beautiful street photographs. If you feel like you are in a rut, give yourself assignments. But not the same assignments that are required for your classes. Some days you may just want to shoot some street portraits, other days focus your attention on silhouettes or motion. Find a stage and wait for the right subject to walk through. Maybe you need to do something completely different for a change. Pick up a macro lens and try your eye at macro photography for a while. Give yourself limitations, pretend you are shooting film for a day and shoot 36 frames only. That will make you slow down and think. Get in your car and get lost on purpose, take a path you've never taken before and explore it with your camera. You never know what is going to move the artist in you. Follow your heart! I get inspired by art in general. Go look at paintings at your local museum, immerse yourself in a photography book, not only images that are available online. Watch inspirational videos on Lynda.com (Richard Koci Hernandez comes to mind) or Kelbyone.com: (Wonderful videos featuring Jay Maisel). We all go through creative blocks. Don't look at it as a bad thing. On the contrary, it may just be a sign that you need to push yourself, to grow in the process. I think that a loss of passion may be an opportunity to renew and refresh your vision and turn it in a positive experience. Give yourself your own assignments. Work on silhouettes for a day for example. Find the right stage, wait for the right subject to walk through and capture the shot you envisioned. That is a sure way to boost your energy and passion! If you received this blog post via email, click on the title to view the actual published post. If you found it useful, please leave a comment below and share your experience with the community. If you have a question, feel free to send it to Valerie for an upcoming Q&A blog post. This blog cannot exist without your questions! Q: "Hi Valerie, I have always wanted to learn photography. Though I'm far from being even a novice in photography but have a very strong urge to learn it. My question is whether photography is for those born with a seed for it or can a person develop it as a skill from 0 (like me) ? A: "That's a great question and a topic that many probably wonder about but never ask! There's never been a better time to learn photography. Everything that you need to learn about the technical aspect of the craft is available online and mostly for free. This is a huge advantage what didn't exist 15 years ago even! For some, a classroom setting is better than learning online and there are photography classes offered everywhere through community colleges, etc. You are also raising a very good point about 'natural talent' and the part it plays in the outcome. Learning the technical aspects of photography is the easy part that is accessible to all. Everyone can take a technically great picture but not everyone can make a compelling image. The rest of the ingredients you need is a combination of passion, determination and LOTS of practice. I do believe in natural talent but that comes in various forms. We are all talented at something. Some will see a perfect composition right away without ever having to think about composition rules. Others will have the ability to see a story in a frame and, with the technical skills they acquired with experience, will be able capture that moment flawlessly. Some new photographers have such great people skills, they can position themselves as portrait photographers because they have a natural talent at interacting with their subject, etc. If you are just starting out, try a lot of different things until you find one genre (or several) that you are truly passionate about. If you focus on what you love, you're half way there! With passion, determination and experience you will grow and develop a style. About gear: Your point and shoot probably has some manual settings that you can experiment with. Start with what you own. Remember that the camera doesn't make the photograph and you can take killer shots with any point and shoot or camera phone. As your skills improve and you start to feel limited by your gear, then consider upgrading. Go to a camera store, rent or experiment with a friend's camera to determine what feels right for you. It may not be a DSLR system, there are hundreds of choices out there. There are no bad cameras. Take your time to figure out what you really want to spend your money on. About education: As I mentioned above, most of what you need to learn on how to use your camera is available for free, you can also learn a lot about techniques and composition online. 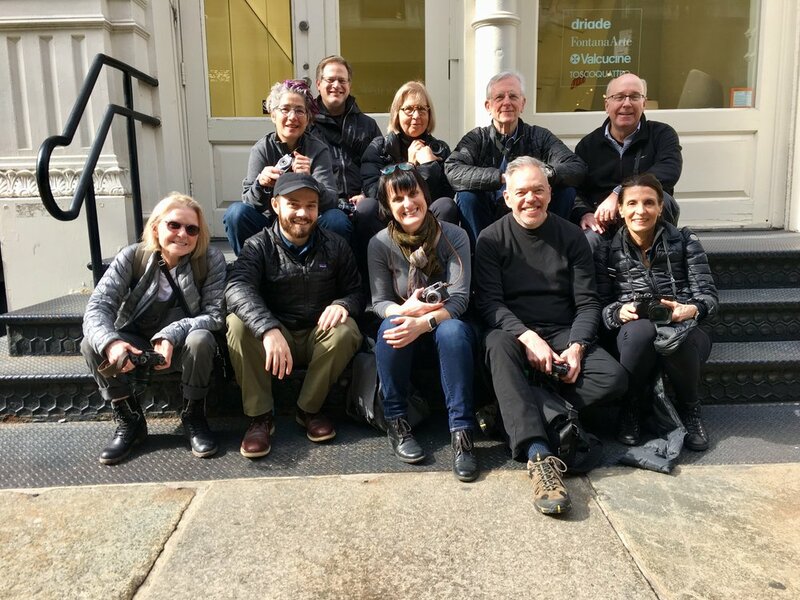 Join a local photo community or photo walk group. Start a photo project such as a 365 day challenge. Anything that will make you want to go out and shoot everyday! Photo workshops are also a great way to learn in the field with like-minded people. There are many options available that range from a few hours to a few weeks. Most importantly, shoot for yourself. Do not worry about pleasing others with your pictures (or we'd all be photographing kittens and puppies to post on Facebook...) Follow your heart and your vision. As long as you are not shooting for clients, make yourself happy first! As you grow, get some honest and reliable critique of your work in order to improve on it. Please leave a comment below and share your experience with the community. If you have a question, feel free to send it to Valerie for an upcoming Q&A blog post. This blog cannot exist without your questions! A: "Hi Melanie and thank you for your question! There are some wonderful enhancing software programs and presets out there, I just don't use them... I find programs such as PS, Lightroom or Aperture so powerful that I don't see the point of adding anything else to my workflow. I like to tweak my images myself to reflect the emotion I had when I took the picture. No preset can really do that for me. That said, I am not a portrait or fashion photographer. They may use some tools beyond the traditional photo editing software programs in order to help them achieve a final image faster. It would be interesting to find out more about that if someone wants to leave a comment below. The type of photography I do requires very little post processing and I like a very natural look to my images. Anything that looks over-processed turns me off, especially in street photography or in nature. But photography is an art form and art is subjective. Presets are obviously popular and I believe that anything that boosts the artist's creativity is a good thing! The presets available in LR are a good starting point to experiment with. I think you have to make it your own by adjusting a few sliders to achieve a final look and feel that works for you. I think that many photographers rely on plug-ins or presets to try to make a mediocre image look better. Reality is, no preset or amount of post processing is ever going to turn a bad picture into a good one. Yet, skillful editing (via a preset or not) can definitely turn a good image into an even better one! If you want to try some of the many products available on the market I would recommend a free trial to see if that is something your work is really going to benefit from. I hope this helps. Thanks again for submitting a question for the blog Melanie!" Note that the question was originally sent in French as follows: "Ma question est la suivante : que pensez-vous du HDR ? Je ne crois pas avoir déjà aperçu de vos photos qui résultaient de ce procédé. Je vous remercie à l'avance de votre réponse." Donald, Montréal, Canada. A: "HDR... One of the most controversial photography topics in recent years! You may be surprised to hear that I jumped on the HDR (High Dynamic Range) bandwagon really early. Like most photographers, I was fascinated by the fact that I could take multiple exposures, process them in Photomatix and, within a few seconds, create this magic blend that would reveal details in the bright and dark areas of the frame. We are given tools that can actually make an image look much closer to what the human eye can see than what the camera could ever capture. New technology allows us now to render a higher range of intensity levels with a single exposure. Some cameras also now have a built-in HDR setting. There's never been a more exciting time to be a photographer. Do I like HDR? In my opinion, if an image looks processed then it's over done. That's my personal taste. But we are talking about art and there is no right or wrong answer. Art is subjective and that's a beauty of it! I think we need to stress the fact that no amount of post processing is going to make a picture better if it's not a good picture to start with. As the saying goes "You can't polish a turd..." It's all about light, content, composition and story. I think that, in photography, post processing should be used as a fine-tuning tool. The true creativity of the artist is applied in the field." Please leave a comment below, I would love to hear your opinion. If you receive this via email, click on the title to be redirected to the actual blog post and have access to the comment section. If you have a question about photography in general, about the business side of things or anything else that is photography related, please use the contact form to send it. Thanks and I look forward to hearing from you!